We are lucky enough to live close to the sea and my large boat mooring has sat empty for a couple of years, but a potential purchase of a 32 ft yacht last year made me think how much time the boat would spend sitting at its mooring. It was certainly possible to singlehand such a boat, but would have been neither easy nor relaxing, especially on a pile mooring, so did I really want to go back down that route? 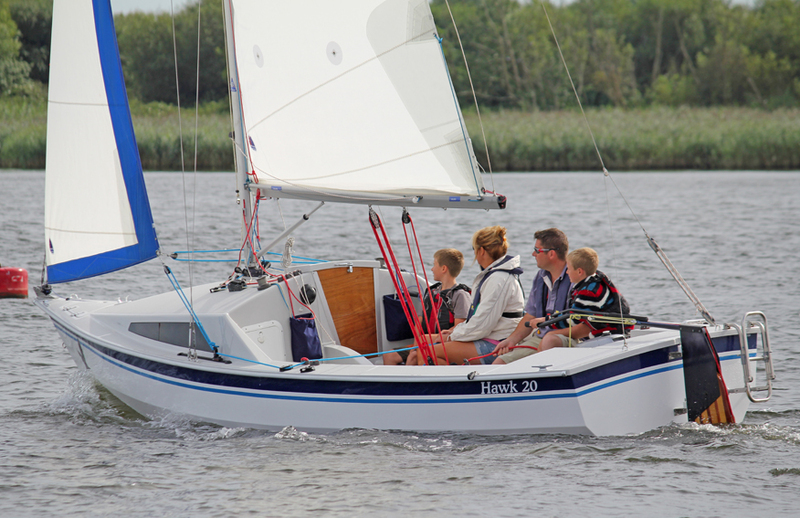 Would it encourage more or less family sailing? So, a smaller mooring and focus on a day boat with sleeping potential with the option to charter something larger locally or in the Med if family interest picks up, was my conclusion. So given that, what are the options? Something funny happens as boats scale through the 20-30 ft range – the weight grows considerably, the topsides grow so you become more detached from water level. Stanchions and lifelines start appearing and suddenly the experience changes. Personally I like to feel close to the water rather than towering above it. The change seems to occur at around the 24ft mark and so my focus was looking at new and secondhand boats up to 24ft. The first decision was really around seakeeping, draft and trailerability. Whilst we have no need to trail, it does open up the potential for other sailing areas without having to flog around the coast. A lifting keel opens up more shallow creeks and at least in the Solent, allows more remote anchoring away from the masses. I continue to get my race thrills from fast dinghies, so the boat didn’t need to be used for racing, but it did have to be satisfying to sail and be sea kindly whilst not flighty. Clearly a fixed keel boat would have given more interior space and sailed more sharply, but was too limited for what I wanted. 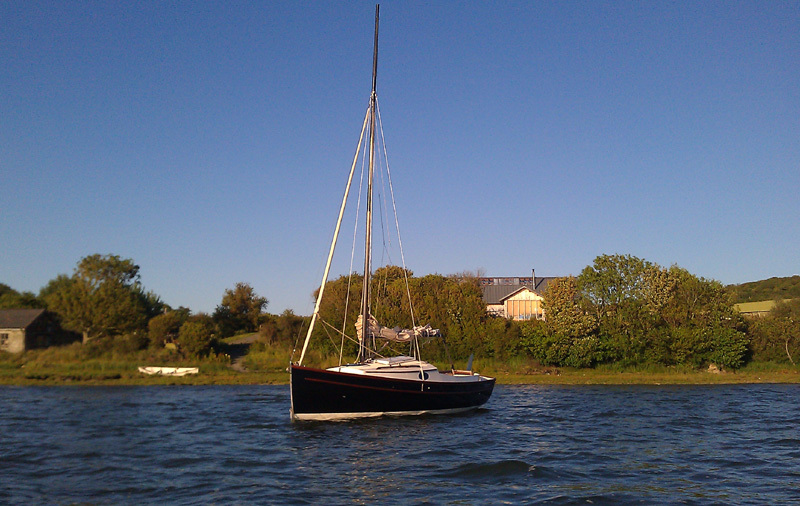 were really no more practical than a fixed keel and certainly not for creek crawling. It is now effectively out of production and spares will become more difficult for its unique keel system. In theory it can still be bought, but in basic sail away form its £52,800 inc Vat before a trailer or the usual basics so its a seriously hard sell. It also has quite a compromised layout with an awkward sideways double under the cockpit and secondhand boats are expensive. 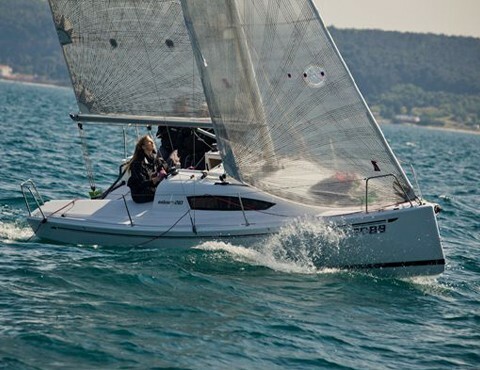 Update – BP Sailboats, the phoenix company after the demise of Parker Yachts was set up to continue to build these boats and the Squib, but its had its squib license withdrawn by the RYA and the company has closed down. I guess the last Parker 235 was probably made in about 2009. Great shame, because when Bill Parker ran it as Parker Yachts the produced some excellent boats. but they are tender, and need plenty of well placed crew weight in a blow. They are fast, particularly in flat water, but are perhaps not the best built products and are, well again, just a bit plain. They need reefing early and will certainly scare the horses (or indeed less keen wives) in a blow. To get the cabin volume from a non displacement boat at this size, they have particularly high topsides and the keel sits under the boat, so they don’t dry without factory specified beaching legs – rarely found on UK boats. They also have very long masts and are not easily launched and recovered. is a cheap and a good little day boat. 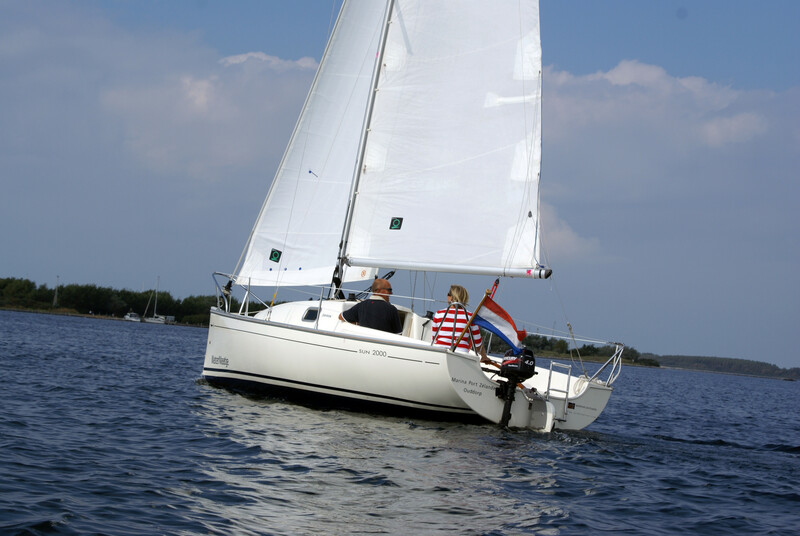 Its simple, has a large cockpit and sails well with a fully retracting centreboard, but its very basic in build and operation and like so many small mass production yachts lacks any real charm. Its predecessor the Sun Fast 20 was similar. 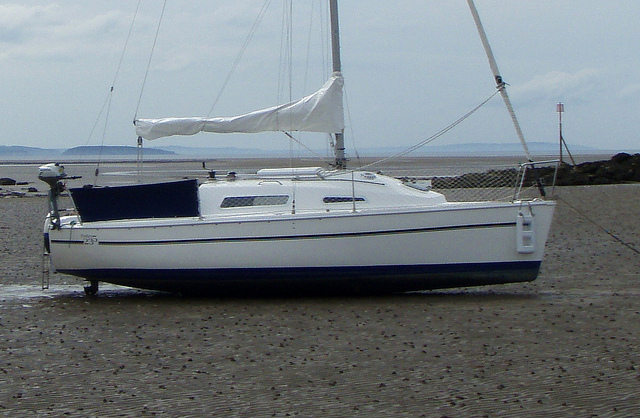 A good boat in this size range is Swallow boats Bay Cruiser 23. I appreciated the ability to lift the outboard when sailing, but didn’t like the flexible slots covering the aperture and it seems from owner comments that the slots don’t last that long. I was also not that keen on the limited rudder angle due to the way it comes through the transom. People will either love or loath water ballast, but I thought it was a good idea on this boat, albeit didnt like seeing the exposed connection pipes and would certaily have added another two jubille clips to the joints, as only one was supplied!! Its a good, attractive and well built boat, but, the biggest issue was pricing. Running through the pricelist and adding a trailer and a sensible level of options and I was soon looking at a figure of more than £48,000……..
Whilst perhaps starting to look slightly dated now is a fine day sailing boat, but the cabin version, whilst useful for storage is just too cramped and untrimmed – it feels like climbing into a small white storage box. The lack of space is due to the very shallow space to work with, but Reid Marine really could do more with the interior and I think could make the cabin larger and more useable without making the cockpit too small. is again a good boat, but its cabin is just too small for my needs. I had always considered that one day I might buy a Shrimper and indeed have chartered a couple in the past few years. or of course the Cape Cutter 19. So why a Cape Cutter? Unlike a shrimper the outboard is on the centreline behind the keelson, so less drag and much better manoeuvrability, especially in reverse. Modern 4 stroke outboards really do negate the benefits of a diesel in a boat of this size. They are quieter than they used to be, can be re propellored to generate lots of thrust, are remarkably economical and can be hoiked out easily for service or repair/ replacement. Whilst the hatch access might be marginally tighter, the accommodation on the CC19 is much better than the Shrimper 2+2 with four generous bunks. The hull shape is finer at the bow, so is noticeably less prone to slamming in a chop – it rides the waves remarkably well. The fuller stern and lead ballast serve to make the boat considerably stiffer and subsequently more comfortable than the Shrimper. 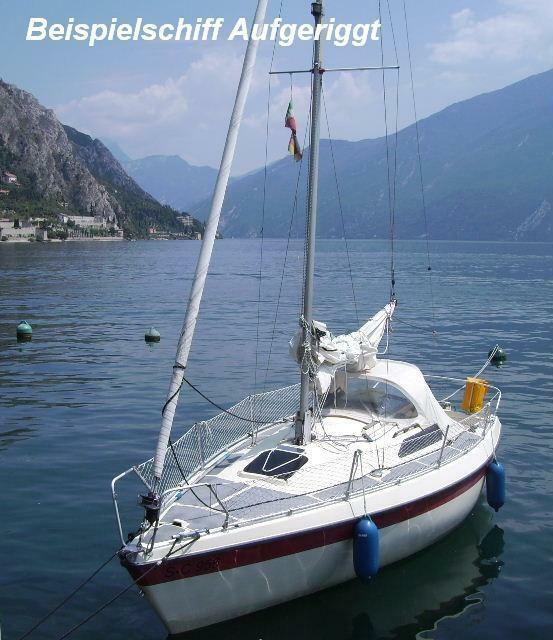 This also allows the Cape Cutter to carry more sail area than the shrimper which is especially useful in lighter airs. During my charters of a shrimper I was regularly wanting a bit more sail and then when the wind was up it heels rapidly, so I wanted a bit more stiffness! The Cape Cutter was much better balanced under sail, almost sailing itself at times. The cutter rig allows sail area reduction whilst keeping proper shape in the sails and offers more flexibility in different conditions. Whilst the cockpit itself is bigger on the shrimper there is less leg room, so I found it less comfortable. Manufacturing is good on both boats, with a few minor pros and cons for each, but nothing really between them. Honnor Marine Trailers seem much better designed. The Cape Cutter is a little better value, but that shouldn’t be the deciding factor. I like the Spinlock set up on the Cape Cutter, its much easier to use. But finally, look at the pictures above, the Cape Cutter is to my eye a much prettier boat, nicer lines a longer rising bowsprit and the cutter rig. The Mainsail has battens and more roach so a more efficient shape. Finally, it does seem from the people I know that if they have a Cape Cutter, they really .. really want to hang on to them. My choice was the Cape Cutter, but both boats have that elusive quality missing in more modern designs and that is character. They are also both very seaworthy, can be trailed, dry out easily and can creep up creeks. 10 Responses to Why a Cape Cutter 19 ? A thoughtful analysis. As a C19 owner, I went through a similar decision process and came to the same conclusion. Our family of 4 sleep aboard; I don’t think that would have happened if we’d bought a shrimper. I am waiting for my own boat , but have been on a few CC19’s , talked to many owners and have chartered and sailed a number of shrimpers. Build wise they are very similar albeit Bob and Peter Thomas would argue theirs was better than the other. All fittings are exposed on the Cape Cutter so very easy to get at for maintenance or change. They have a good reputation and sellers are always very sad to see them go, which says something. It all depends on what you want, as per my comments, I think the CC19 wins out on internal accommodation, placing of the outboard and a more flexible sail plan with more sail for the light stuff. Personally I prefer the looks, but thats all down to personal preference. John – my boat is the one on the blog. It’s almost finished, but I have been on a number of these boats. Both the shrimper and the CC19 have centreboards made out of galvanised steel, so they are heavy. They also both have underfloor ballast, but there are two differences that affect stiffness. 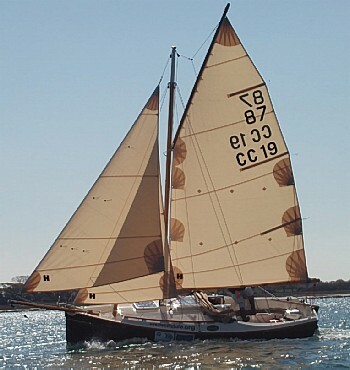 On the shrimper the ballast is steel punchings, but on the CC19 it is lead. In addition, the CC19 has a broader hull shape at the stern, almost like the chines on modern race boats which create much more form stability. The CC19 is noticeably stiffer than a Shrimper. Hi and thanks for the useful analysis. Did you consider a Memory 19 or a Drascombe Coaster? Any thoughts welcome! 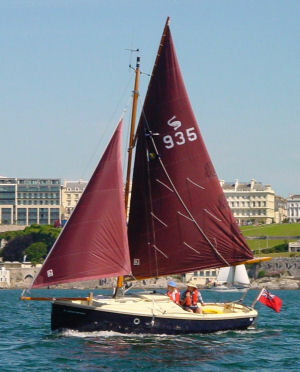 I am familiar with the Drascombe range, having a Lugger. 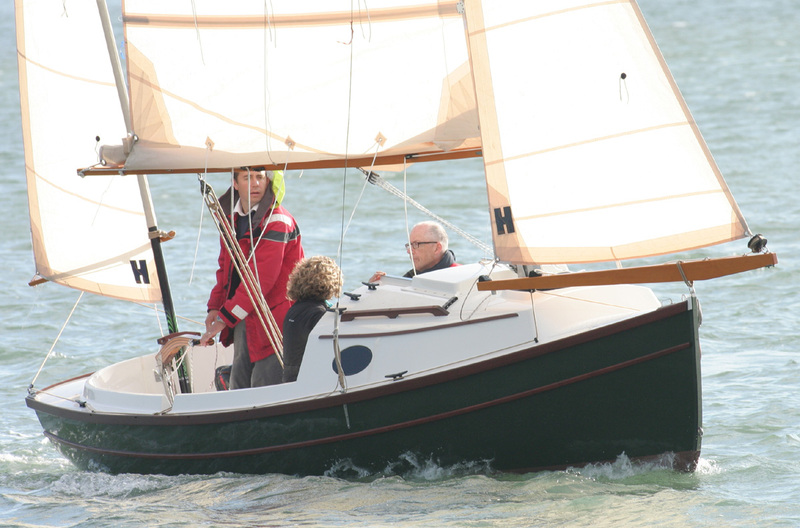 I also have a Deben Lugger which gives a more powerful and rewarding sail with its lug rig and deep centre plate. I would love to replicate the Deben Lugger’s performance in a similarly sized traditionally rigged cabin boat. Charles, I did look at most of the boats around this range, including the drascombes. The memory is a custom build and whilst they have a good reputation, the cc19 is very popular and therefore probably easier to sell if you ever wanted to. The memory was conceived as an open boat, so the cabin is ‘doghouse’ style and much smaller. I did charter a shrimper a couple of times, but the cc19 offered a better outboard option, accommodation and a more useful sailplane especially in light winds. I have no direct evidence, but I suspect is a fair bit quicker and close winded than the coaster. Agreed of course and they look very similar. I guess however, that many still like the idea of a GRP production boat. Although our season has been curtailed, these are remarkable little boats in our limited experience. 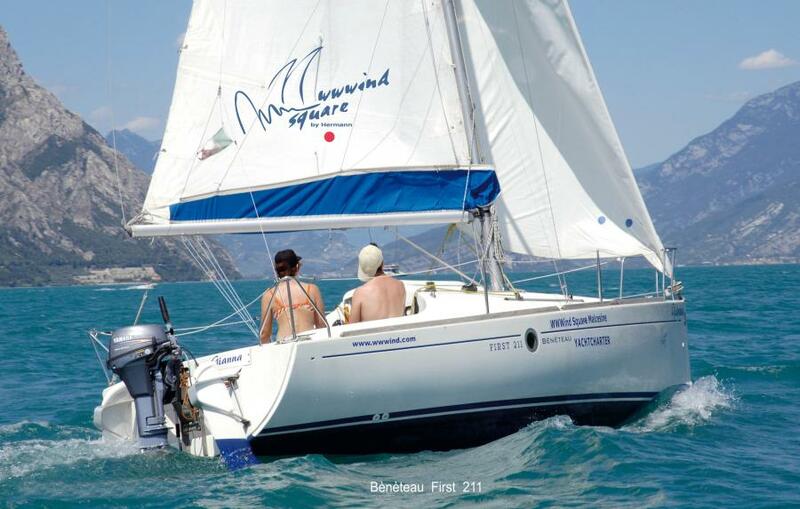 I had the idea to buy a second hand Beneteau First210, then I was captured by the “the smaller, the better” approach plus “the prettiest line you can dream”. My conclusion was a Goat Island Skiff which then I’ve built and now I sail. But the CC19 is a dream that often comes at night..